What do I do when my child reaches 16? Note - Usernames cannot be updated. Log in to their Patient Services account using their existing username and select My Account. 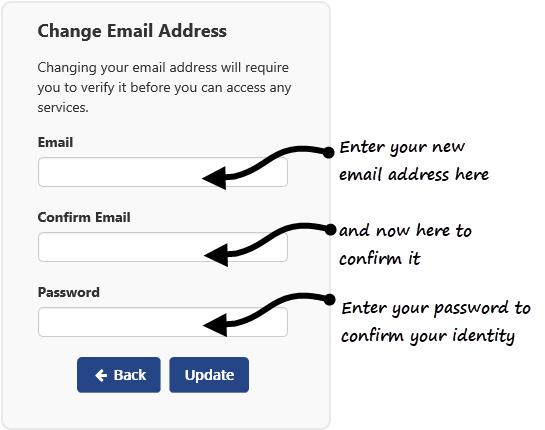 You are prompted: "Please verify your email address by clicking the link we have emailed to you"
Check your email account and select the link in the email to verify the email address change. The Patient Services Email Verification screen is displayed confirming verification. Your young person should now change their password, see How do I reset my password? for details.